During the warmer months, I tend to stay away from lipstick and lipgloss and lean more towards a lip balm or lip tint, as I find they sit better on my lips and I don't run the risk of them slipping all over the place in the heat, not that Northern Ireland has much heat anyway! Here's some of my current favourites that I have on rotation. I'd heard a lot about the EOS lip balms, but I always found them difficult to find and I always forgot to order one online. Then, when I was standing in the isle of doom in Topshop one day, I noticed that they stocked a few of the EOS lip balms, so I couldn't resist picking one up to try. As expected, it smells incredible, not too minty and not too sweet. It does a brilliant job of keeping my lips moisturised and the slight tingling makes my lips feel more plump. Although the packaging is convenient and hygienic, the outer casing does get dirty pretty quickly. The thing that sold me on this lip balm is that it smells and tastes like coconut ice, one of my favourite sweet treats! Apart from the smell and taste, it's an incredible lip balm to use throughout the day because it keeps them moisturised all day, due to it being slightly thicker than most lip balms. It also provides a super subtle pink tint which will suit any lip tone. A blogger favourite and one I couldn't be without, I haven't had dry lips since I bought this a couple of years ago. Although some people may think it's silly to spend the best part of £10, in my opinion it's worth every penny. It's definitely one to use at night though because of it's thick consistency, but whenever I wake up in the morning, my lips are baby soft. I've had a few Burt's Bees lip balms over the years and even though I like them all, the coconut and pear version has to be my favourite. 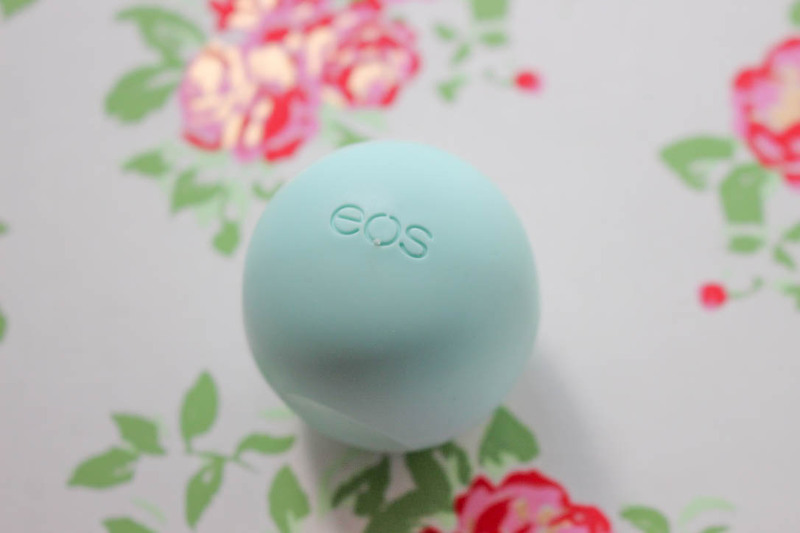 The formula is so soft and creamy, I'd imagine it being like what butter would feel like on your lips. It smells divine and is perfect for handbags as well. 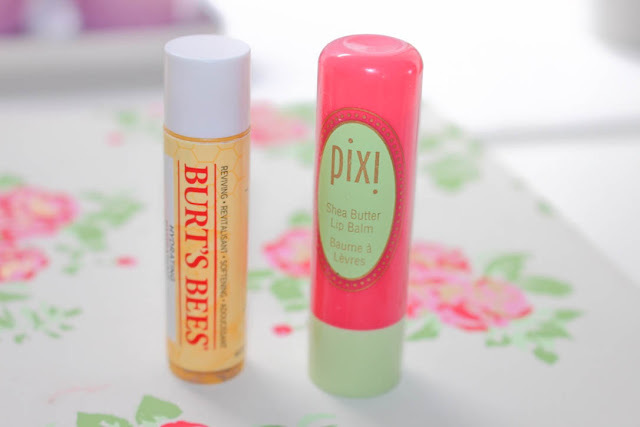 I did an entire post (here) dedicated to the Pixi lip balms a while ago, which is a testament to just how much I love them. I wear this on days when I want a bit of colour on my lips, but don't want to wear a lipstick or lipgloss. The shade 'Ripe Raspberry' is definitely my favourite shade so far, but I can't wait to pick up some more in the future. 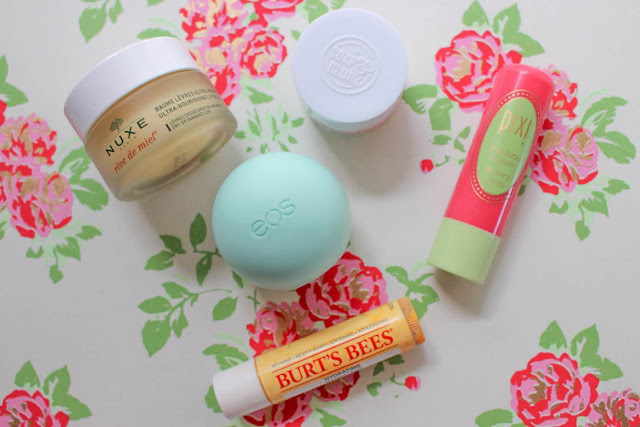 Have you tried any of my 5 favourite lip balms? 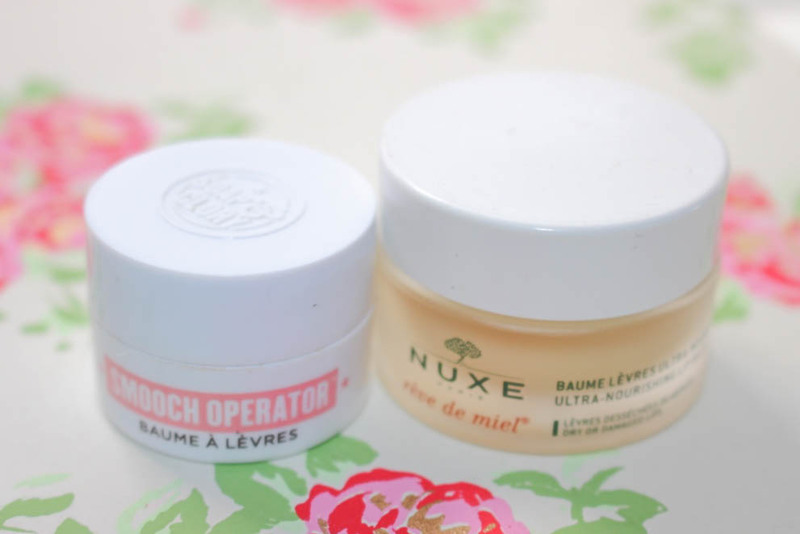 What are your favourite lip balms? Let me know in the comments! 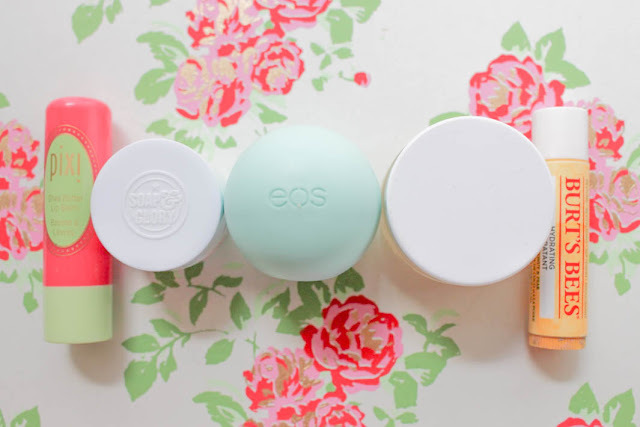 My faves are the eos and the topshop balms! really recommend them! 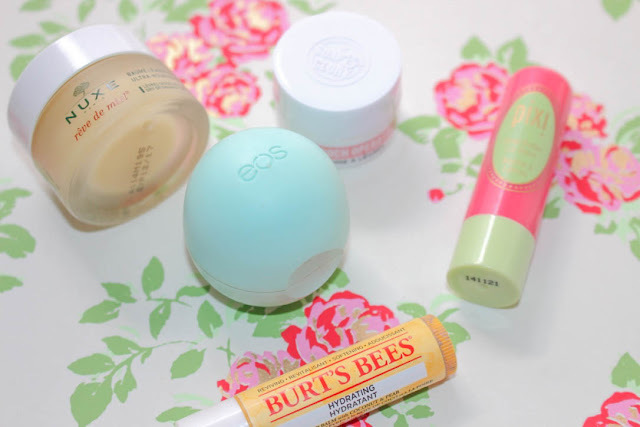 Some of my favourites are EOS and Burts Bees also! 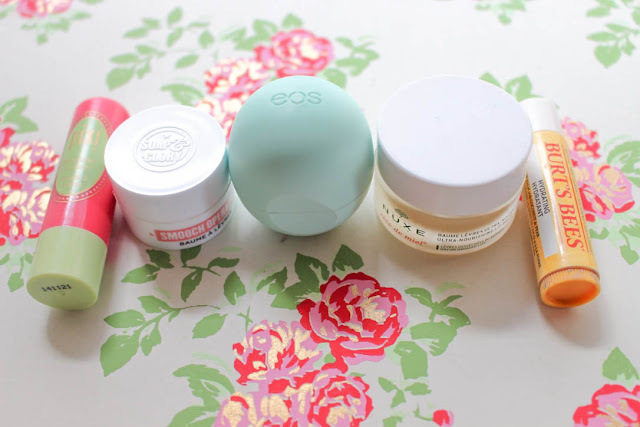 I had the EOS one, I think it was something lime pomegranate (I know it was the dark pink one,) they are also sold in urban outfitters.